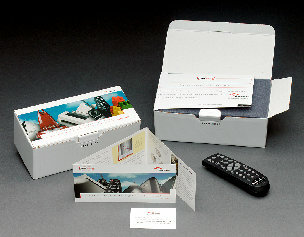 A sales contact program to showcase dramatic differences, improvements, or advantages of a specific product or service. Greenhouse® Prospect Development - A powerful direct program to rapidly identify, communicate with and ultimately capture new business. DCF/Market Share Linkage - Gathered from market research, this breakthrough allows us to prove a direct link between communications factors and market share. ATOM* Brand Development - Analysis, Translation, Outcome and Measurement, a process to understand, develop, field and measure brand value. Neural-Net Predictive Modeling - Predicts how potential customers will respond to a specific marketing stimulus. For more than 28 years, Quest has successfully developed and proven marketing innovations that continue to make us a "value-adding" partner. Our sophisticated marketing tools can help speed your quest for more market share. Everything we do is designed to help marketers leverage their resources, and compete more effectively.